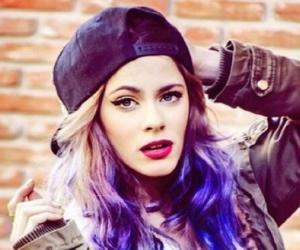 Martina Stoessel is an Argentine actress, model and singer. This biography profiles her childhood, life, career, achievements and timeline. Martina ‘Tini’ Stoessel is a famous Argentine singer, actress, model and performer. She is best known for her performance as Violetta Castillo in Disney’s comedy TV series, ‘Violetta’. She has appeared in a number of series and movies. In addition to acting, she is also a trained singer. She has recorded an album in association with her father, Alejandro Stoessel’s production. Martina’s debut album, ‘Tini’ garnered a positive response from people all over the world and received gold certification. She mainly sings in Spanish, but also dubs her songs in English. Her debut album consisted of two CDs, with songs recorded in Spanish as well as English. 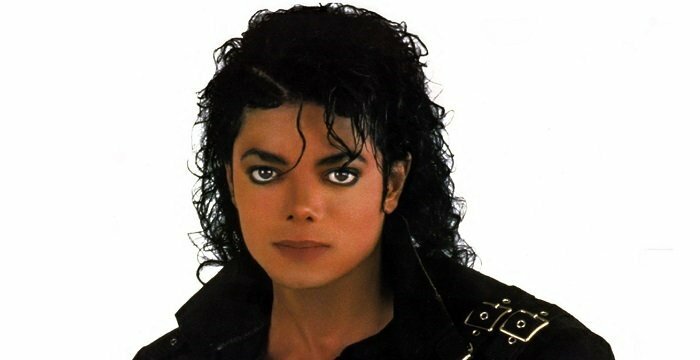 The album topped the charts in her hometown Argentina and in countries like France, Germany, Portugal, and Spain. She has been named as an ambassador of world peace by Adolfo Pérez Esquivel, a human rights activist and Rigoberta Menchú, a political activist from Guatemala. She is also a philanthropist and uses her fame as a platform to positively influence the lives of people around her. Martina Stoessel was born in Buenos Aires, Argentina to Alejandro Stoessel, film director and Mariana Muzlera, on March 21, 1997. She has an elder brother named Francisco Stoessel. She received her education in private schools that also taught English. Studying piano, dance, theatre and singing, she began focusing on her artistic career at quite a young age. Her parents started calling her Tini since she was 8 years old. She went on to use that nickname as the title of her first solo album. Martina played a small role in ‘PatitoFeo’ (Ugly Duckling), a comedy TV series for kids that aired in 2007. Her father, Alejandro Stoessel, was one of the creators of the show. In the years 2011 and 2012, she started recording Spanish versions of English songs including Shannon Saunder’s ‘The Glow’ which was called ‘Tu Resplandor’ in Spanish. In 2012, she auditioned and landed the part of Violetta Castillo in ‘Violetta’, Disney’s comedy show for kids. She sang the promotional song and title track of the show, ‘En Mi Mundo’ (In My Own World). She recorded the same song in two other languages. Martina has often stated that playing Violetta was easy for her as she had modelled the character after herself. She has also recorded the music of all the three seasons of her show Violetta. In 2013, she gained immense popularity when she recorded the song ‘Let It Go’ from Disney’s hit animated film Frozen in two languages, Spanish and Italian. The Spanish version ‘Libre Soy’ has gained almost 2 hundred million views. In 2014, she lent her voice to a small character called Carrie Williams in the dubbed Italian version of Pixar’s animated movie ‘Monster University’. She spent the year 2015 filming for ‘Tini: The Movie’. The movie hit theatres across America and Europe in 2016. On April 29, 2016, Martina released her first ever solo album, ‘Tini’, with Hollywood Records. The album included music from her movie and received a gold certification in Argentina, selling over 110,000 copies globally in less than two months. 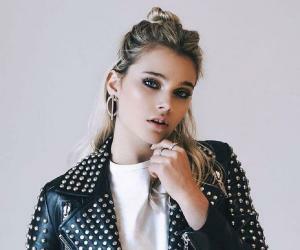 She released a number of songs during 2016, including ‘Great Escape’ and its Spanish version ‘Yo Me Escaparé.’ She also collaborated with Sebastián Yatra, a Colombian singer for ‘Ya No Hay Nadie Que Nos Pare’, the Spanish version of her song ‘Got Me Started’. On August 10, 2013, Martina performed at Un sol para loschicos, the UNICEF charity event and performed songs including ‘Ser Mejor’ with the cast of Violetta. On the social service front, she visited sick children at the Gutiérrez Hospital and took part in various other initiatives under the ColectoTecho Association. She organized a free concert in Buenos Aires in May 2014. In 2015, she performed John Lennon’s ‘Imagine’ at the opening of a charity football game which was convened by Pope Francis in Rome. Martina Stoessel was named the honorary ambassador of world peace at the Red Vozpor la Paz ceremony held in Buenos Aires, on November 17, 2016. She has spoken supporting people with Down Syndrome and has also addressed issues like depression and low self-esteem. In 2012, Martina won the Kids’ Choice Award Argentina in the Best Female Newcomer category for her performance in the telenovela ‘Violetta’. At the Kids’ Choice Awards in 2013, she received two nominations for playing Violetta in the Favorite TV Actress and the Favorite Latin Artist category. In the same year, she also won the Premios Martin Fierro award for Violetta in the Female Newcomer category. In 2014, she won the Kids’ Choice Awards in Colombia for ‘Violetta’ as the Female Newcomer. She was nominated for the MTV Europe Music Awards in the Best Latin America South Act category in 2016. Released in 2016, her debut solo album ‘Tini’ topped the charts in Argentina and was amongst the Top 10 records in several countries including Austria, Italy, Germany, and Portland. She has featured on the cover of a magazine titled ‘Trinity Stars’. Martina currently lives in San Isidro along with her family. She has been influenced and inspired by singers like Miley Cyrus, Beyonce, Madonna, Justin Bieber, and Rihanna. She has four tattoos including a peace symbol on her neck, a hand holding up fingers in the peace formation, a heart on her knuckle, and the words ‘All you need is love’ on her wrist. She dated Juan Pedro Lanzani, an Argentine actor from 2013 to April 2015. Stoessel is currently in a relationship with soccer player turned model, Pepe Barroso Silva. The couple has been together since October 2016. As of May 2017, Martina Stoessel’s estimated net worth is 9 million dollars. She is best friends with Mercedes Lambre, who plays Martina’s on-screen nemesis.